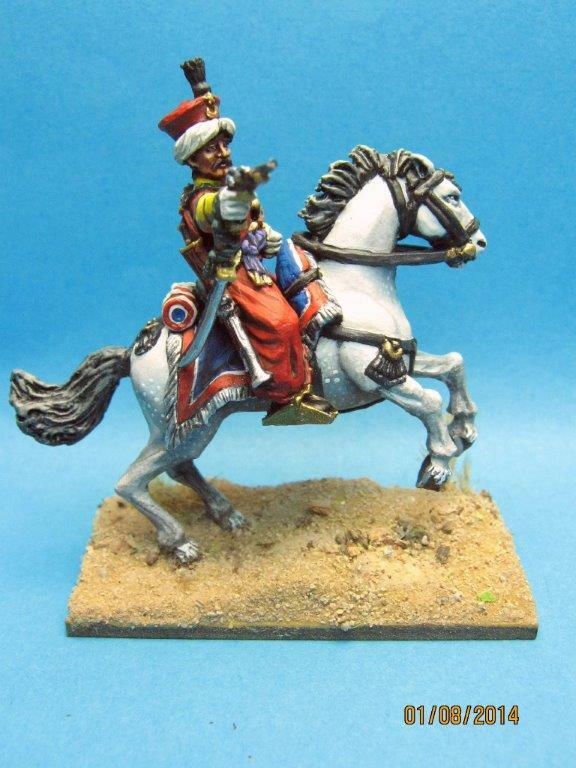 The initial release of the Mamelukes will be troopers in various poses with the first of the command the "Tug" standard bearer...separate arms will be part of the first release.. This entry was posted on Tuesday, August 5th, 2014 at 13:44 and is filed under News. You can follow any responses to this entry through the RSS 2.0 feed. You can leave a response, or trackback from your own site. Beautiful figures as always from Gringo40s. I will definitely have to get round to doing a Maximillian game, Colonel Dupin is irresistible. Extremely beautiful! What I like the most though is the pose of the horse. Out of the usual for what will be used in units! Great figure. At last there will be some high quality Mamelukes available. I have a personal hang-up about separate arms (I’ve never liked them and have never really understood the attraction) but I think the sculpting is fantastic. One query — I remember reading somewhere that the blunderbuss was reserved for parades and never carried on campaign. Is this correct? That question aside, brilliant figure! Great figure. At last! — there will be some high quality Mamelukes available. I may have a personal hang-up about separate arms (I’ve never liked them and have never really understood the attraction) but I think the sculpting is fantastic.